Today I will pop out to the shops to get my matchboxes for my petite bead box swap and this will be my project for the weekend, as hubby is teaching the reservists on base this weekend so he won't be home the whole weekend . The flowers are gorgeous! Prima is the best!! Can't wait to see all the pretty new things you will create with your new flowers! Wow you lucky girl have to agree I love the look of the little debutante bouquets they look beautiful. I love love love prima too. 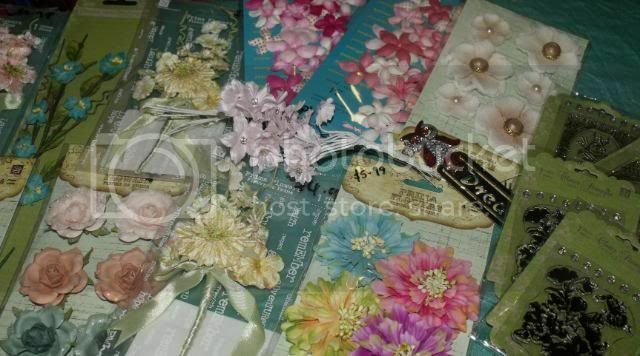 I am a flower horder and ribbon nut. I am looking forward to only having two in the house when my oldest starts kindergarden here in a couple of weeks. I will probably freak out at first. Any Tips? The flowers are lovely and so is the image. Oh wow, just gorgeous!!!! Beautiful flowers AND image!!! 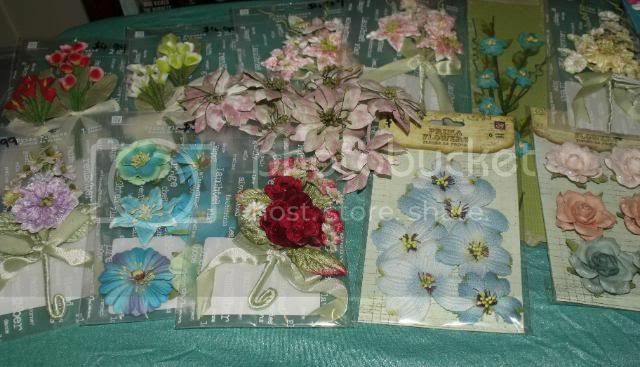 your PRIMA flowers stash is GORGEOUS Maria,!!! !